If panfish is what you’re looking for, go no further. 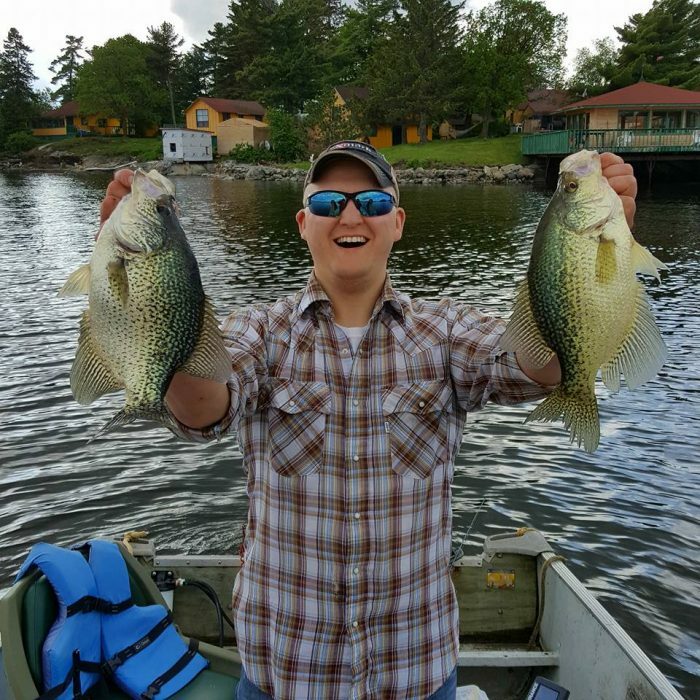 Our crappie fishing can be a great way to spend a vacation. In June and July there are days that you don’t even need to get in a boat. The fishing off of our “world famous” crappie dock is phenomenal. Our large floating docks provide excellent shade and some structure for the fish, and can provide a wonderful way to finish off the day. 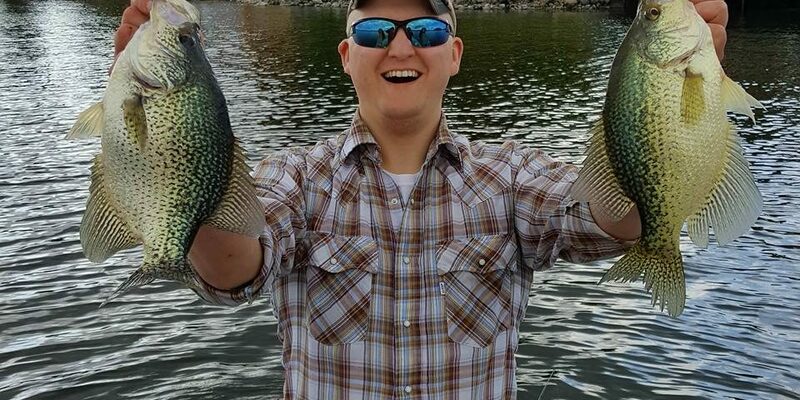 The fall crappie fishing is often referred to as “fish in a barrel” time. The crappie will school up in deep water. It’s not uncommon for a group of three to come back before lunch with their 45 crappie.